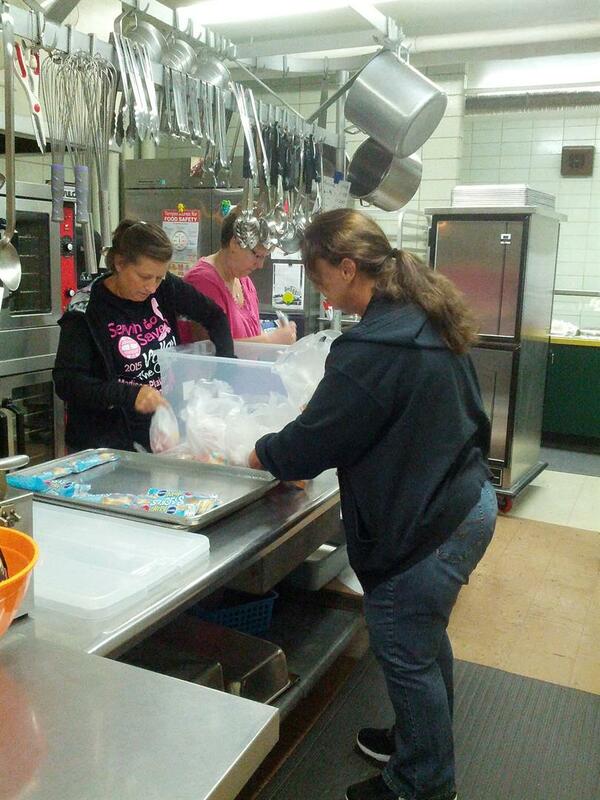 Madison Plains School District operates two kitchens with a staff of 7 full-time and two part-time cooks. The High School offers a lunch line and a snack line. In an effort to reduce waste, our cafeterias operate under “Offer vs Serve” within the National School Lunch Program/National School Breakfast Program. This allows students to decline an unwanted item(s). However a full-serving of fruit or vegetable is required to be considered a ‘Type A’ reimbursable meal. Without the required serving, a student will be charged al a carte prices. We do have a charge policy for students. Our policy allows 3 meal charges. After 3 charges a student will be given an alternate meal consisting of a peanut butter or cheese sandwich, fruit, and milk. Please be advised we will never call you to ask for money or account information over the phone. To add money to your students’ account with a credit card, please use EZ pay. If you send money in the form of cash or check please be sure to have your student’s name and/or PIN number on the bag, envelope, or check. If you have more than one student in the same building, we will accept one check for deposit if names and amounts are noted on the check. Substitutions to the regular meal are allowed for students with Special Dietary Needs such as food allergies or intolerances. We require a ‘Pink’ form stating the reason and specified substitutions signed by a licensed physician. Forms are available from the school nurse or foodservice director.